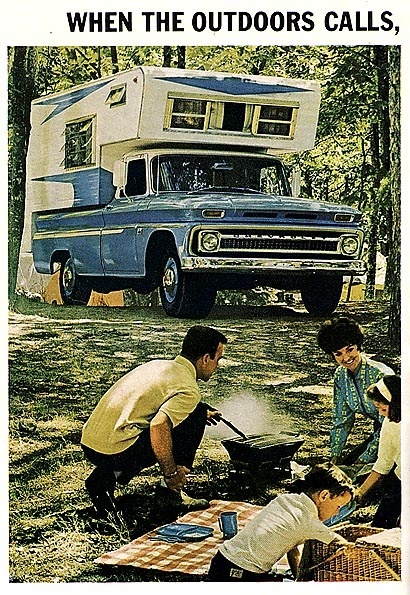 VINTAGE ADS PART TWO: CAMPING. Ahh nothing like the great outdoors! 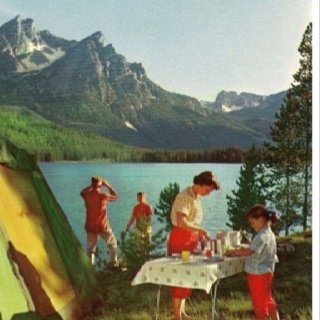 Even a simple family picnic can seem like a world away when you sit under the trees while you eat. 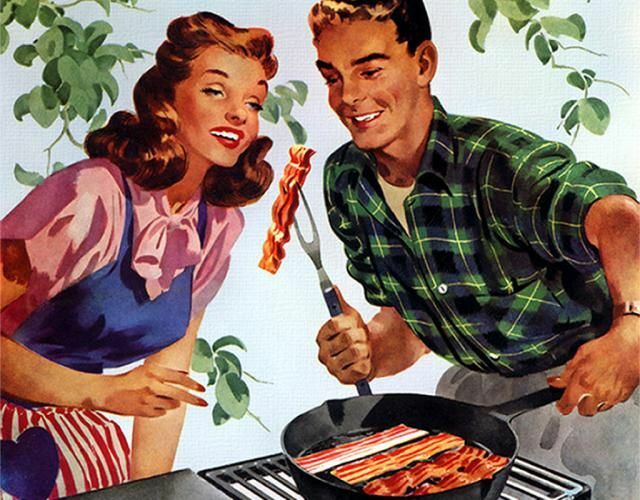 Especially when you cook bacon with your love on a cast iron skillet. 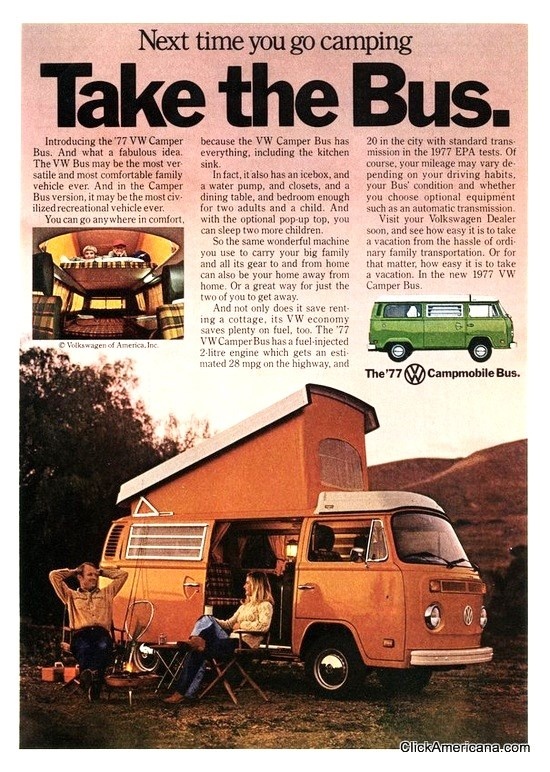 These vintage ads are not only “campy” they are simply a world away. 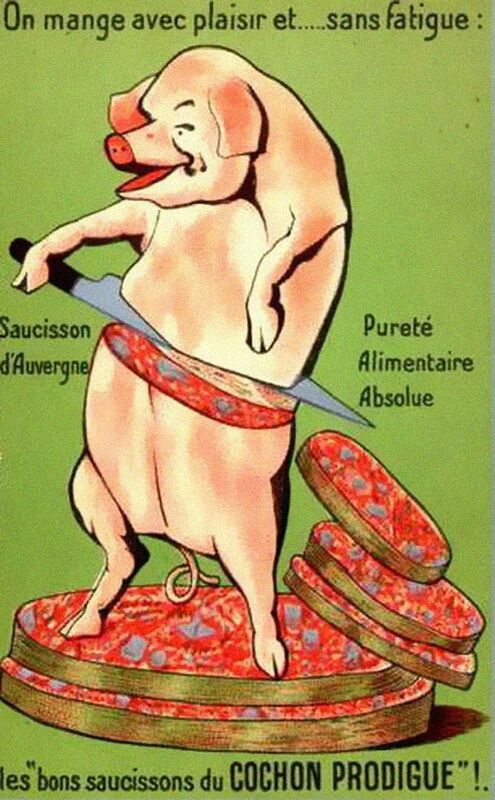 VINTAGE ADS PART ONE: MEAT-CENTRIC. 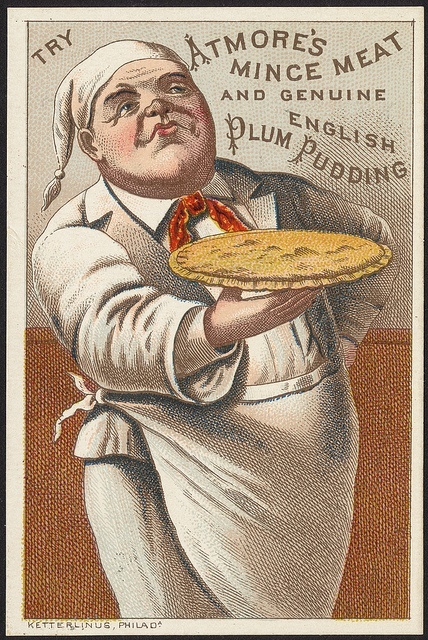 I am fascinated by vintage advertisements from every era. 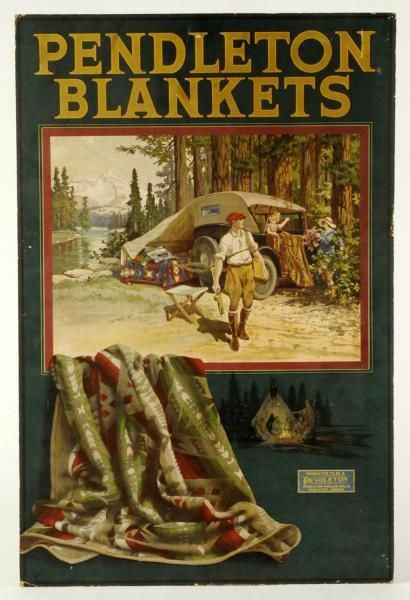 Its intriguing to look at ads throughout the ages and see how the style of clothing and even the style of thinking has changed over the decades. With the popularity of the show Mad Men, we see the creation of advertisements and the motives that advertisers have hiding behind the surface, most of which involves money. Besides the interesting theories one has about psychology and the hidden agenda ad-men have. I like to look at the art of the photo or illustration. 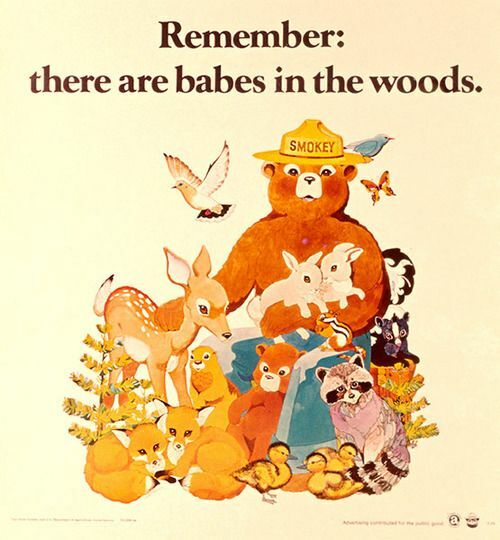 Continuing on with my journey to find new (and old) art, I look to past advertisements for my viewing pleasure. 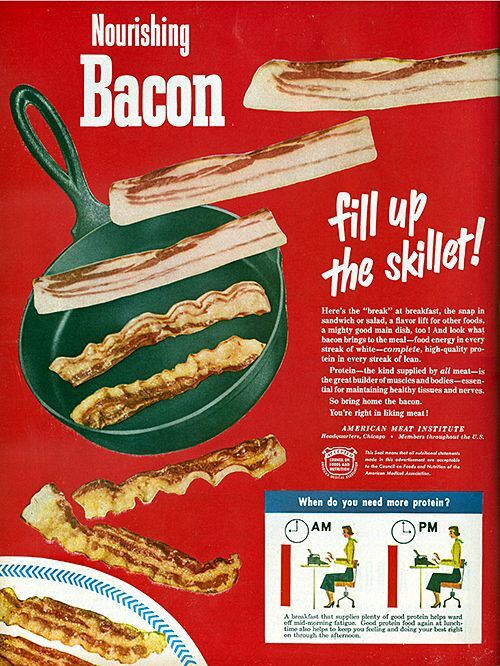 My new series of blog posts dedicated to vintage advertisements, this one is all meat-centric. 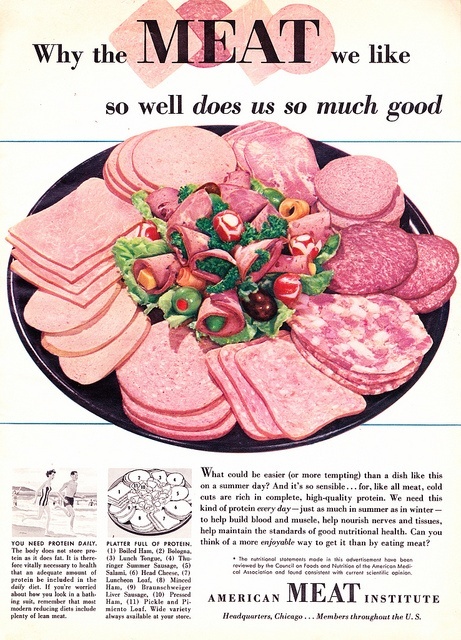 As I scoured the internet I noticed the mass amount of meat ads, granted most of them are TV Dinners, Spam and other various canned meats. 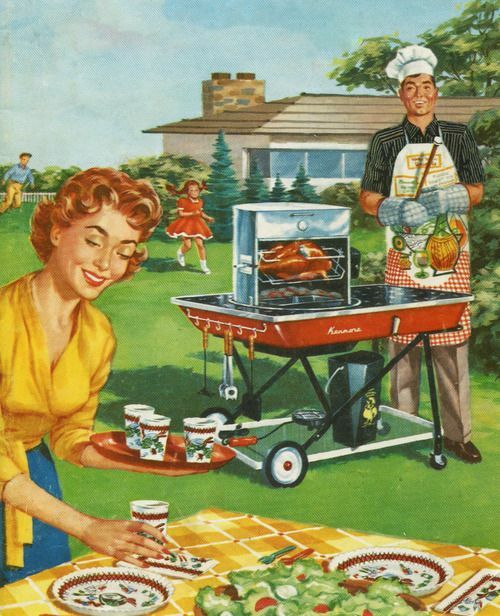 I love the illustrations (mostly because its food illustrations) but also because its like a time capsule into what people ate in another era. Some of the foods look bizarre and unconventional some downright disgusting but thats why I love it. 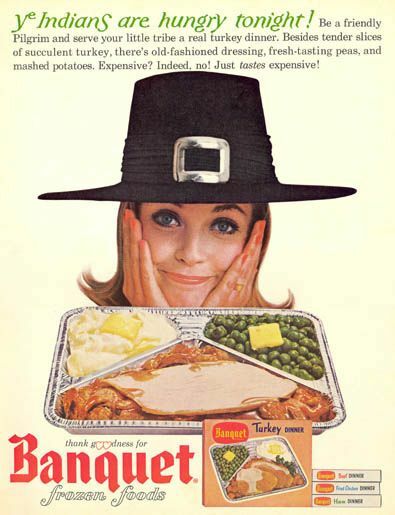 My favorites ads are from the American Meat Institute. I do apologize some of these images do not have dates, but by the style we can all kinda take a guess. 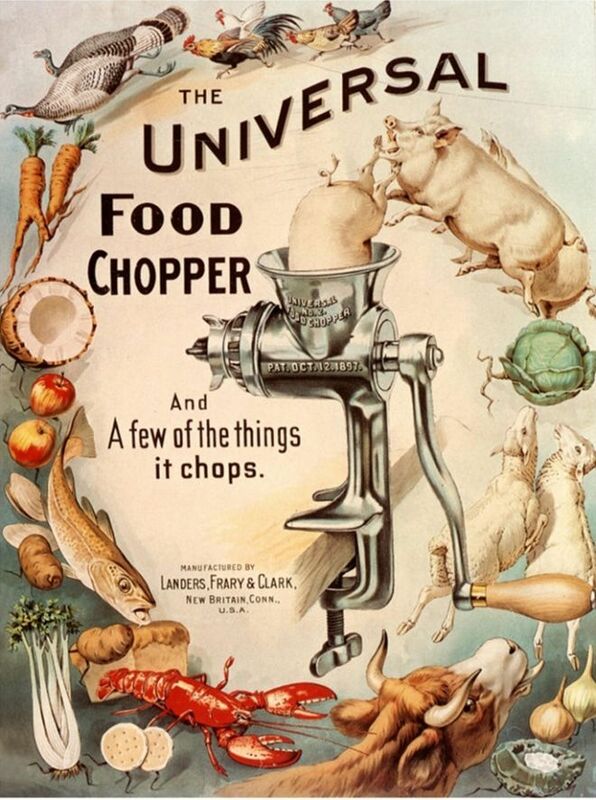 This illustration of the Universal Food Chopper is from 1890. Hmm I wonder what all of this would taste like all ground up together…I’m sure chopped up lobster shell and animal bones would taste delicious! 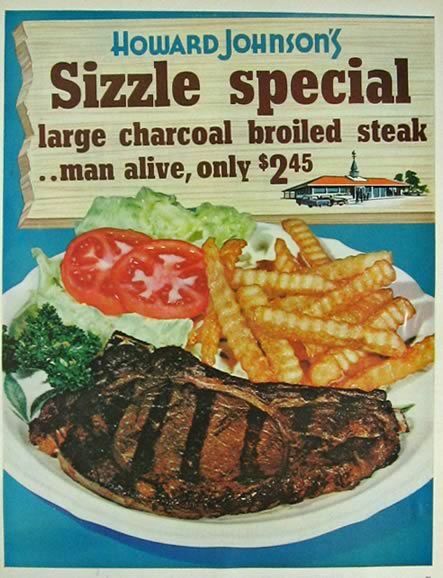 1964 was the time to get a great deal on a steak dinner, and a time to say “man alive“. 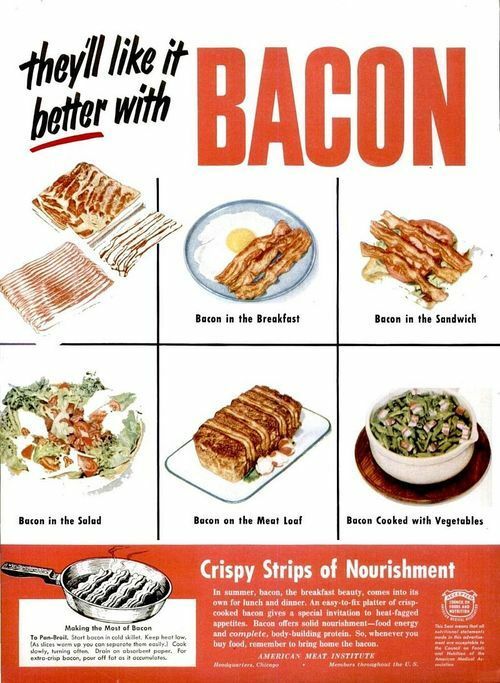 1950 was a fine time for bacon illustrations. Appetizing and adorable. These illustrations are beautiful. Without all the text (although it is interesting) I would frame this and put it on my wall. 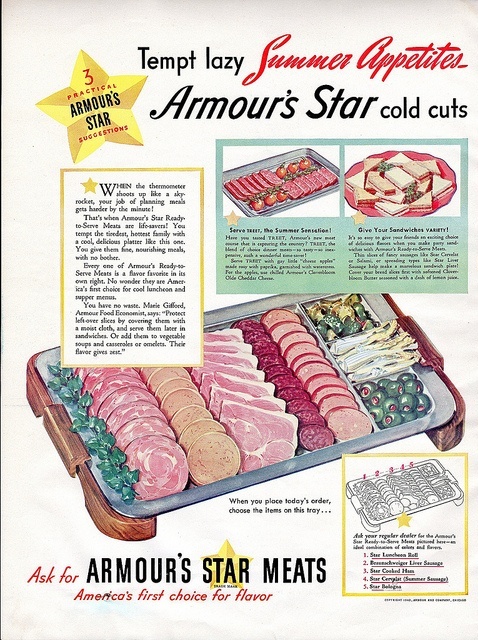 In 1957 cold cuts were in fashion. In my opinion always in fashion. 1870’s had some beautiful cross hatch illustrations. 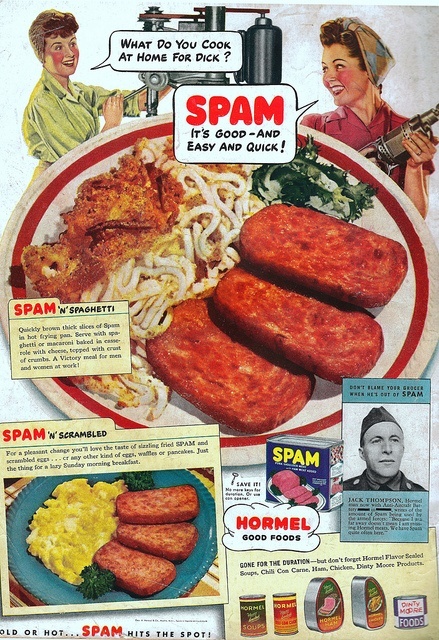 For several decades Spam and was heavily advertised to housewives to whip up a quick meal. 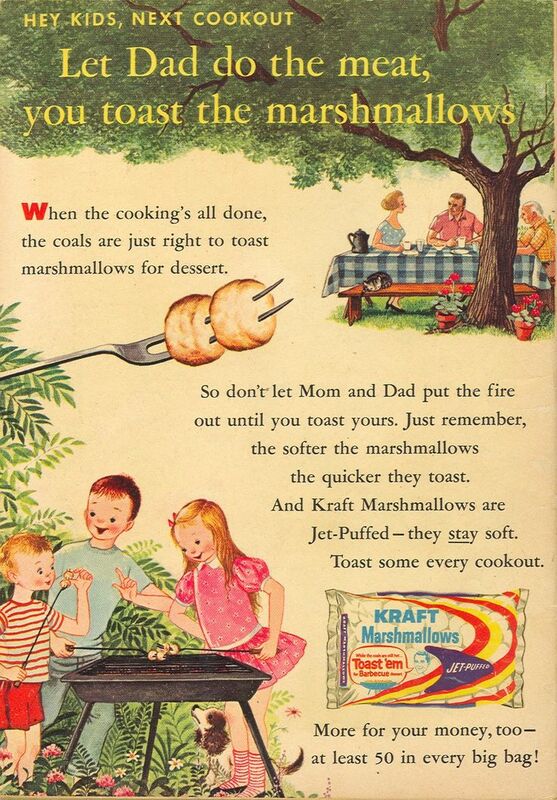 This ad is from the 1940’s. 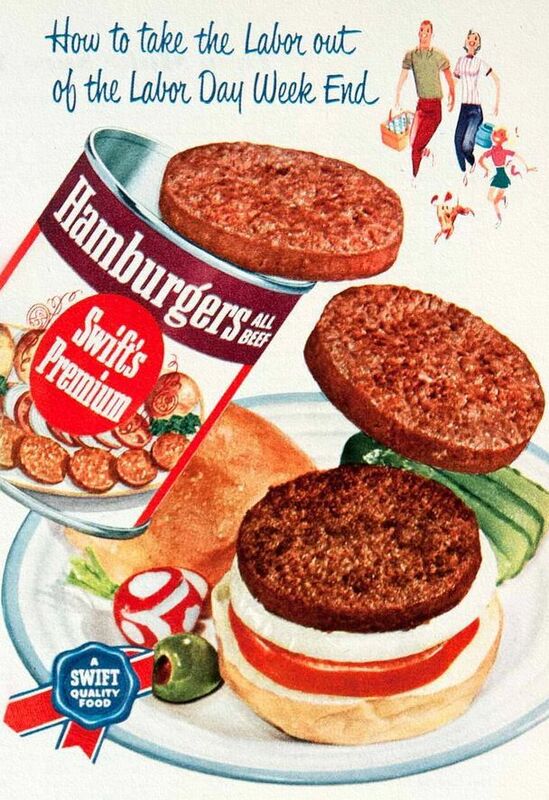 Hamburger patties straight out of a can? They gave it a shot in 1950. Looks like it never caught on…I could kinda guess why. Ribs in a can sound disgusting, I wonder what people in the 1960’s thought. 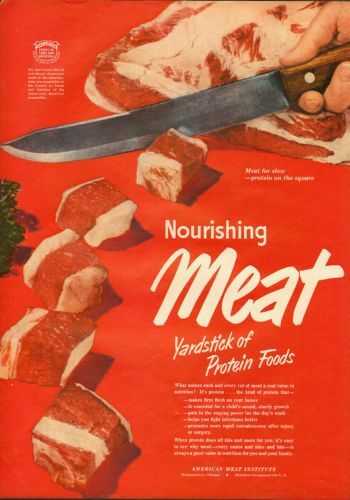 1951 was a time to say meat is the yardstick of protein. Fill in the dirty joke here _________. This TV dinner is from the 1960’s. 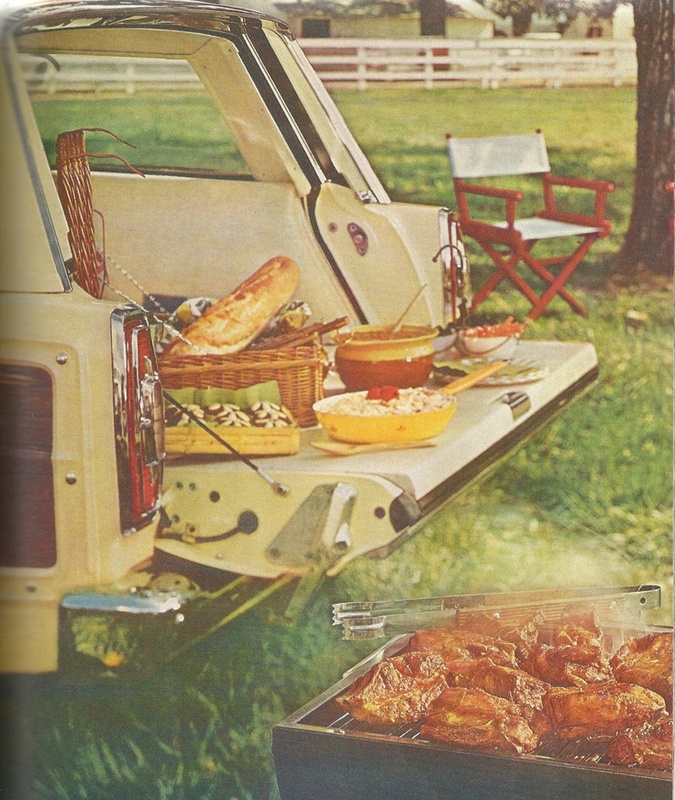 Maybe its the little compartments…but I really think old TV dinners look adorable. Although I do know they taste pretty gnarly. 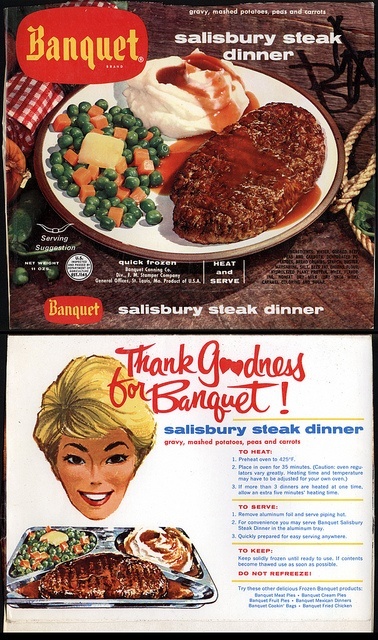 I can’t imagine what this 1950’s salisbury steak tastes like…cat food perhaps…not that I ever tasted cat food (sidenote: yes I have). Here’s my favorite sausage ad. Crude, disturbing and somehow super cute. I found all of these photos on various websites online. Though I could not find the artists names, I do salute them and appreciate all the creativity and money hungry sensibilities that went into it. Cheers.